The best way to select your foods on a plate, for a good nutritional combination, is to seek out a range of colours. 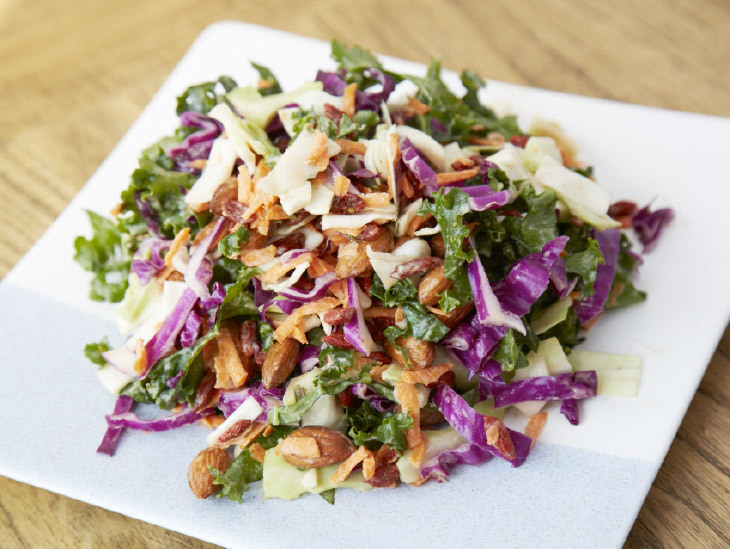 This lunch salad packs a wellbeing punch being full of anti-oxidants (Kale), rich in nutrients (gojis), minerals vit B & E (almonds) and great for lowering cholesterol and anti-cancer fighting properties (cabbage, almonds). Preparation: to serve mix salad ingredients and pour over dressing then work through in a loving way with your hands. Truly delicious trust me!